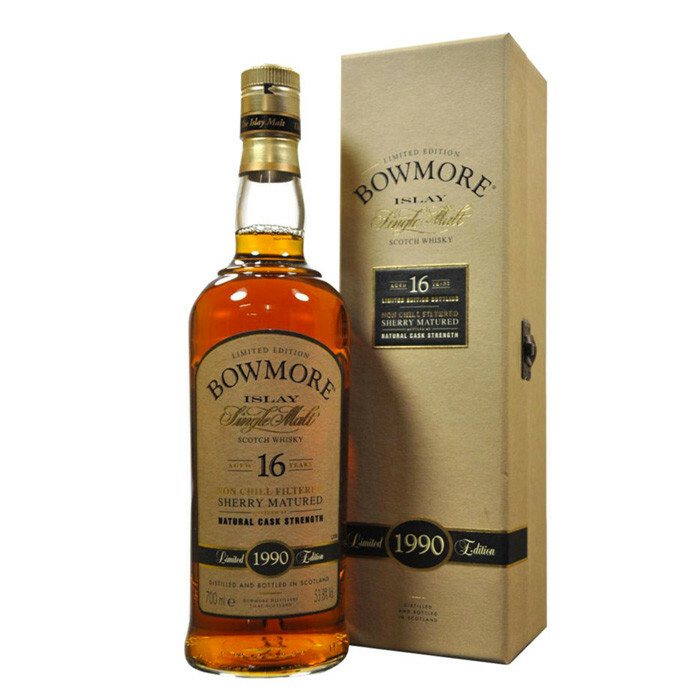 Bowmore 16 year old is a limited edition from a selection of only 39 Oloroso sherry casks. The manufacture of the hand of this exceptional malt began back in 1990: the barley was carefully malted, hand turned and traditional peat kiln dried at the distillery. After fermentation and slow distillation, the spirit was established to mature in Bowmore's famous vaults below sea level. Nose: Dry sherry, woody. Smoky espresso, dry hay, phenols, bitumen. Palate: Perfume, fruity and sherried. Mochaccino, floral. Peat. Finish: Quite dry, coffee notes, faint sherry.